Full document. 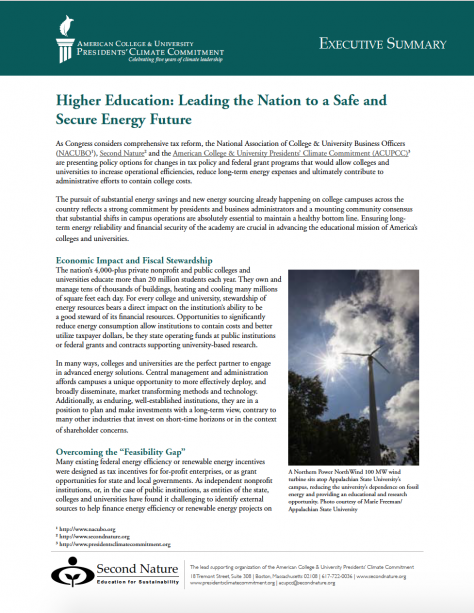 Outlines how the federal government should develop and enhance clean energy incentives and investments for the higher education sector to support sustainable practices on campuses. Download. 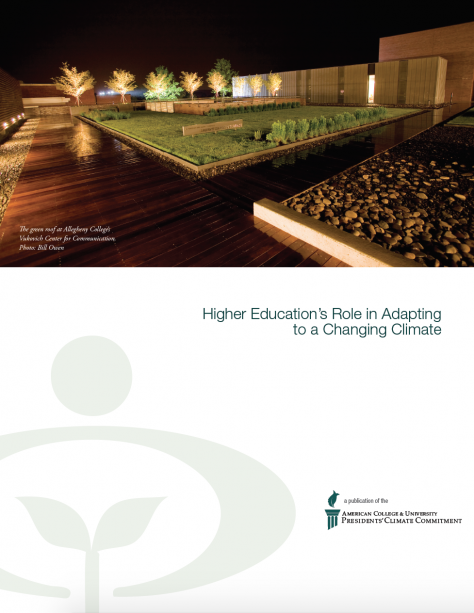 In this case study series, first published on Second Nature’s Campus Green Builder website, we look at Climate Leadership Network institutions and their green building efforts. 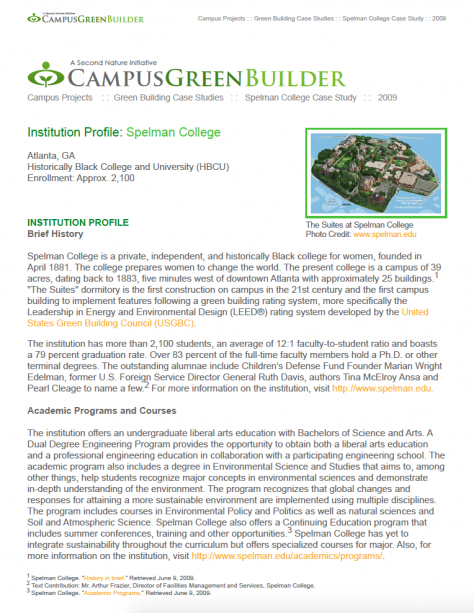 This case study recorded in 2009 looks at Spelman College in Atlanta, GA and their sustainability missions, including the campus’s first environmentally oriented residential and dining center, “The Suites”. Download. 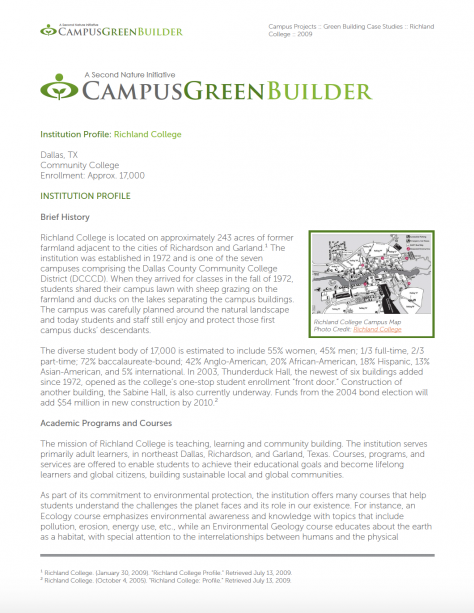 In this case study series, first published on Second Nature’s Campus Green Builder website, we look at Climate Leadership Network institutions and their green building efforts. This study shares Richland College’ sustainability goals, programming, and the building of Sabine Hall, a classroom and conference mixed-use space. Download. 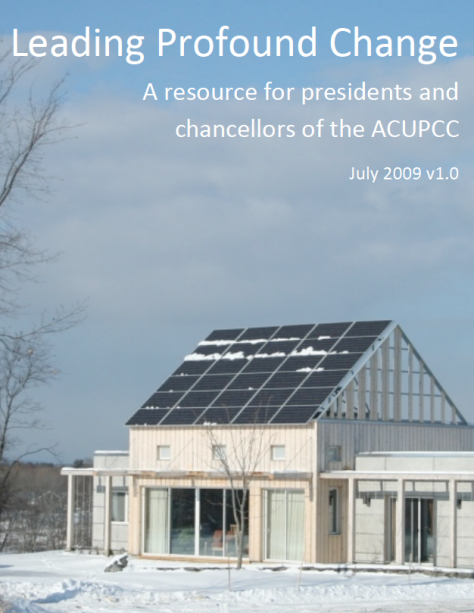 In this case study series, first published on Second Nature’s Campus Green Builder website, we look at Climate Leadership Network institutions and their green building efforts. 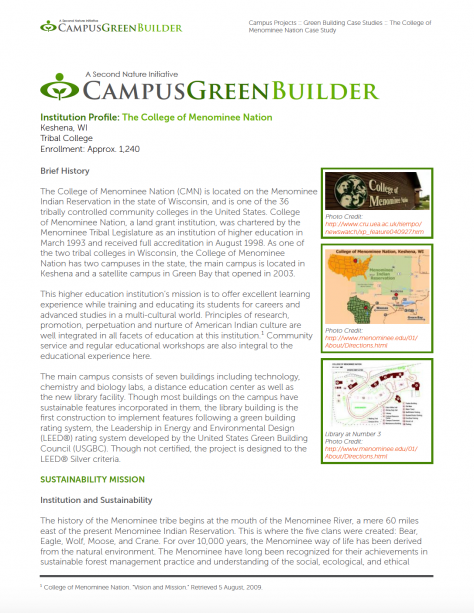 This particular study shares the sustainable building efforts of The College of Menominee Nation, located in Wisconsin. The document provides a contextual history of the school and outlines the planning and construction phases of its library, guided by LEED Silver certifications. Download.